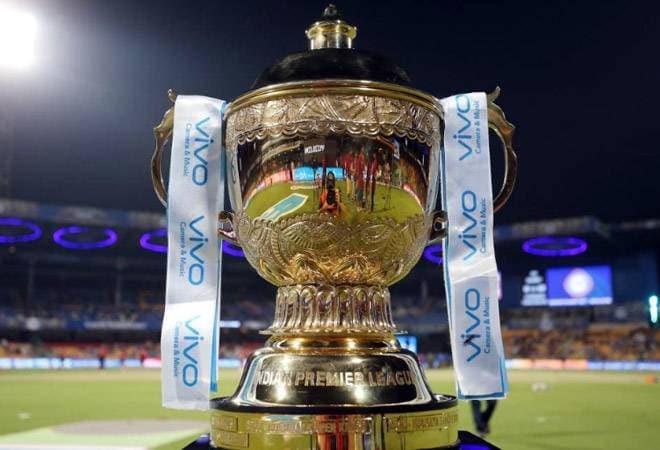 For the upcoming edition of the Indian Premier League, the salary cap has been increased to Rs 82 crore from Rs 80 crore for the total eight teams participating in the mega cricketing event. The Indian Premier League (IPL) Auction 2019 has started in Jaipur, with several key cricket players in line to grab big pay cheques this year. For the upcoming edition of the Indian Premier League, the salary cap has been increased to Rs 82 crore from Rs 80 crore for the total eight teams participating in the mega cricketing event. As many as 350 players -- 226 Indians and 120 international - are going under hammer to fill as many as 70 slots in these eight cricket teams. The participating teams are Kings XI Punjab, Delhi Capitals, Rajasthan Royals, Sunrisers Hyderabad, Mumbai Indians, Chennai Super Kings, Kolkata Knight Riders and Royal Challengers Bangalore. Chennai Super Kings were the champions of the last year's IPL series. International players like Brendon McCullum, Chris Woakes, Lasith Malinga, Colin Ingram, Shaun Marsh, Corey Anderson, Sam Curran, Angelo Mathews and D'Arcy Short have the base price of the Rs 2 crore. While Jaydev Unadkat, Alex Hales, Jonny Bairstow, Morne Morkel, Dale Steyn, Rilee Rossouw, Luke Wright, Alex Carey and Liam Dawson have the base price of Rs 1.5 crore. Players with Rs 1.5 crore base price include Yuvraj Singh, Wriddhiman Saha, Mohammed Shami and Axar Patel. Yuvraj Singh, who was once sold for whopping Rs 16 crore, was brought by the Punjab Kings XI for Rs 2 crore in the last IPL season. But he was released before the auction this year. Get all the live updates of IPL Auction 2019 here. 6.13pm: Varun Chakravarthy, who has never played IPL before, sold for whopping Rs 8.4 crore. 6.11pm: It is raining money for spinner Varun Chakaravarthy. CSK and Delhi Capitals were in for him, and his bidding has already crossed over Rs 3 crore. But later the player was sold for Kings XI Punjab for Rs 8.4 crore. 6.01pm: Jonny Bairstow, Cricketer for Yorkshire and England, sold for Rs 2.2 crore. Welcome to the #OrangeArmy, Jonny! 5.39pm: Ankush Bains has been sold to Delhi Daredevil for Rs 20 lakh. 5.30pm: Rajasthan Royal buys Varun Aaron for Rs 2.4 crore. The Jamshedpur-based right-arm fast bowler would definitely try to make a mark in the IPL series to get back the place in the India cricketing team. 5.21pm: Jaydev Unadkat sold for Rs 8.4 crore for Rajasthan Royals. Last year, Rajasthan had bought him for Rs 11.5 crore. Udadkat is the costliest player to have gone under hammer so far. He was released by Rajasthan before the auction to buy on a cheaper price. However, Chennai pushed them hard for him. That's the big story of the session. That apart, Mohit Sharma went back to Chennai and Varun Aaron joined Unadkat at Rajasthan. 5.08pm: Nicolas Puran, a West Indian player who performed really well in the recently concluded T-10 league, was bought by the Punjab Kings XI for Rs 4.2 crore. He is also a wicker keeper, and will be useful for the team. 5.06pm: Wriddhiman Saha was sold to Sunrisers Hyderabad for Rs 1.2 crore. 4.46pm: No takers for Yuvraj Singh. Having a base price of Rs 1.5 crore, Yuvraj is the most prominent player who failed to have gone under hammer in the first round. 4.30pm: Bengal player Manoj Tiwary, who is priced at Rs 50 lakh, becomes the first player going under the hammer. He remained unsold.